Drone racing has risen quickly from dodgy 2 AM meet-ups in abandoned warehouses and carparks and claiming some of the limelight on ESPN. 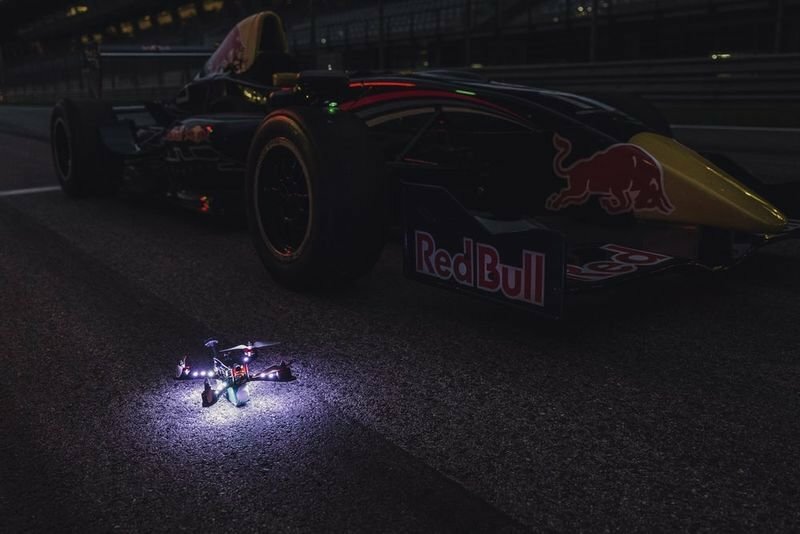 Red Bull is the latest big name to take on the challenge of the emerging sport, hosting its first drone racing tournament over the past weekend at the Red Bull Ring in Spielberg, Austria. Drone racing has become a serious business over the past few years and is now for all intents and purposes professional sport. Back in 2015 was the first US National Championships and since then the sport's rising popularity was recognized by ESPN, which signed a broadcast deal with the International Drone Racing Association. Red Bull claims their event is a little different compared to those you have come across before; racers can fly any type of drones weighing up to 1.5 kg, while the size is limited only by the smallest obstacle fate that measures 50 cm in diameter. Red Bull's drone race is dubbed as DR.ONE and it took place for the first time on September 30, 2017. The Thursday, before the race, was a day of training and the Friday 18 pilots were competing from 14 different countries where the finals then took place on Saturday. A 20-year-old Austrian pilot named Bastian Hackl took out first place, with Russian Vladimir Ivanov claiming second and Poland's Mac Poschwald taking third place. "I tried to keep cool at the start as I started after everyone else and followed them around the course," says Hackl. "I tried to push it even more after every lap to catch them up and overtake them. To win is amazing!" The racing drone hits speeds of up to 150 km/h throughout the event, while at the same time dodging flames, waterfalls and blasts of air pressure as the pilots compete to the finish line. They wouldn't reach the velocity of Austrian Walter Kirsch's aircraft; who's drone hit 165 km/h in a demonstration flight around the Red Bull Ring racing circuit in the lead-up to the event. Kirsch clocked a lap time of one minute 39.75 seconds, not all that far behind the fastest ever MotoGP lap around the same circuit of one minute 24.312 seconds by Johann Zarco, and a little further behind the fastest Formula 1 lap of 1:07.411 seconds, set by Lewis Hamilton. You can check out Kirsch's hot lap in the video below and indulge in the image gallery to see the Red Bull DR.ONE racing in action.